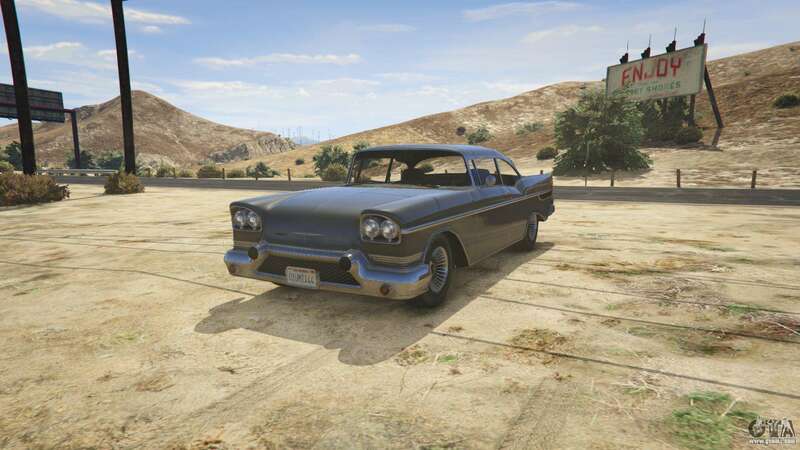 GTA 5 Declasse Tornado - screenshots, features and description classic sports car. Declasse Tornado is a vintage dvuhdverny classic sports car, which first appeared in GTA San Andreas now available in GTA 5 and GTA Online. Declasse Tornado is equipped with a powerful engine V8 FR, capable of accelerating the car up to 209 km/h. unfortunately, acceleration and brakes suffer from the heavy weight of the machine. The machine is very durable, however, this advantage is almost negated by the fact that the Tornado has a tendency to instantly explode if the engine will get too much damage. It's enough to be one good blow or a pair of fairly long bursts of firearms. Because of its weight, Tornado, also, with great difficulty overcoming the UPS and rear-wheel drive is not the best way affect the handling, especially at high speeds. Real prototypes Declasse Tornado steel Cadillac Eldorado 1957, the year and the Chevrolet Bel Air 1958 year. The machine is often found around Los Santos and blaine County, among road traffic or in Parking lots. To find it easily enough. Features Declasse Tornado GTA 5.